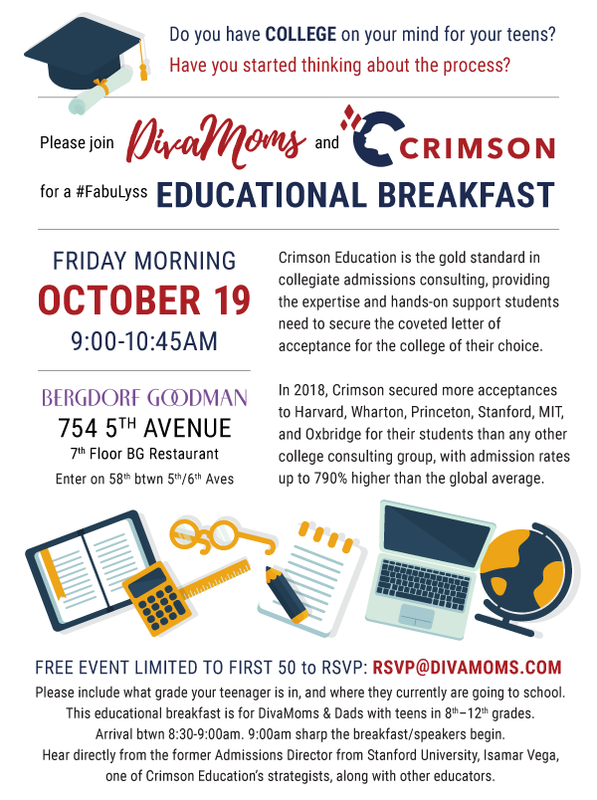 Divamoms Presents: College Prep Breakfast with Crimson Education @ Bergdorf Goodman - NYC (AT CAPACITY) : Divalysscious Moms – Fabulous events for expecting, new moms, and families in NYC! Divamoms (and kids!) Book Club Event @ Alice & Olivia (755 Madison Ave, NYC) - this Sunday!